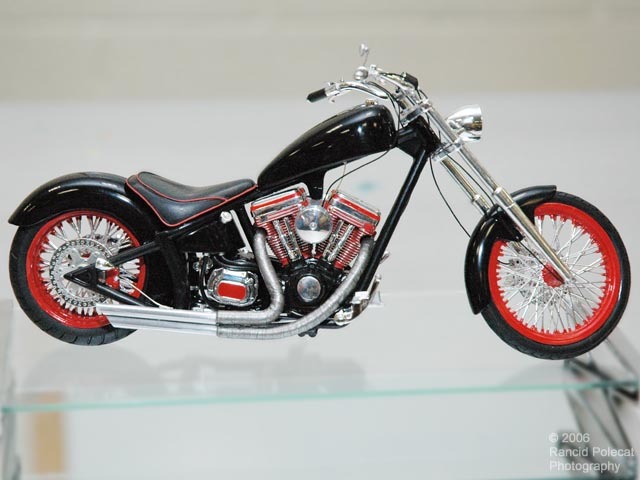 Lyle is well-known for his styling flair when it comes to 50's custom cars, so it's not suprising that he applied styling cues from that era to this thoroughly modern chopper. The simple black-and-red paint scheme oozes 50's hot rod rebel chic and was accomplished with Duplicolor black and Polly Scale red for the highlights. Along with the styling, Lyle added realism with shifter linkage and fuel, brake, and throttle lines.